I love Snapchat because it’s so lightweight. It opens straight to the camera; from there, I can send a photo or video to someone in 3 taps. What’s missing is convenience on the other end. If I get an incredible snap, my only choices for expressing my excitement are replying with a captioned selfie (something I rarely feel like doing) or replying with a typed message in Snapchat’s weird disappearing-text-messages screen that no one seems to use. Both take substantial taps, and substantial creativity—if I’m going to reply with a message (which won’t even be readable from the notification—my friend will have to open the app) I’m going to want to say something more than “cool!”. Compare this to literally every other social media platform, where there’s at least one—often many—lightweight ways to quickly react to a message. 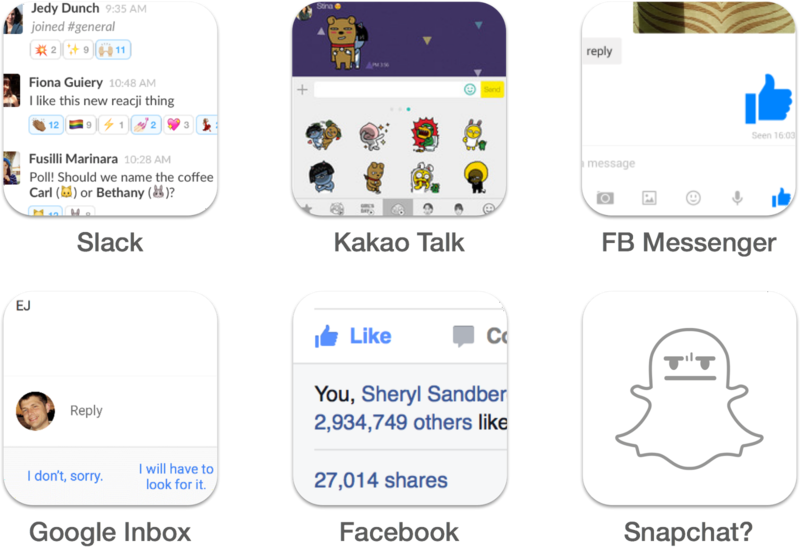 Facebook’s Like, Instagram and Twitter’s hearts, Messenger’s thumbs-up, stickers in most messaging apps. Even Gmail brings more to the table. I wanted a solution that would let people express varied emotions in their own voice, while taking only one gesture and adding no extra clutter to the screen. 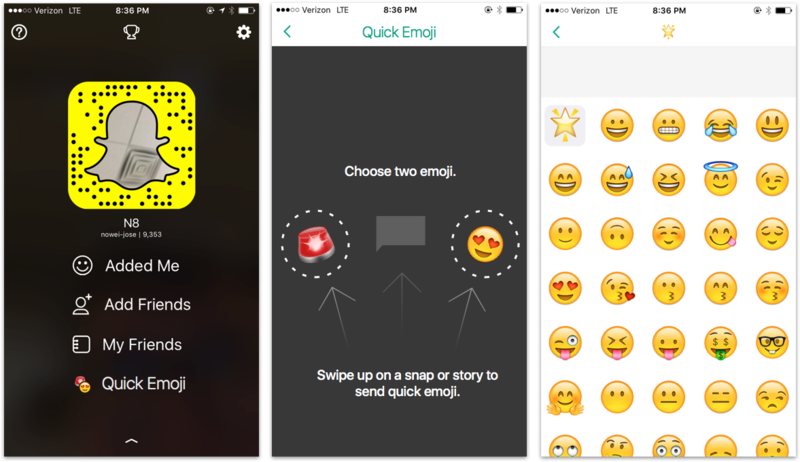 My best solution: let users reply to stories or received snaps using two pre-selected emoji, with a single swipe. 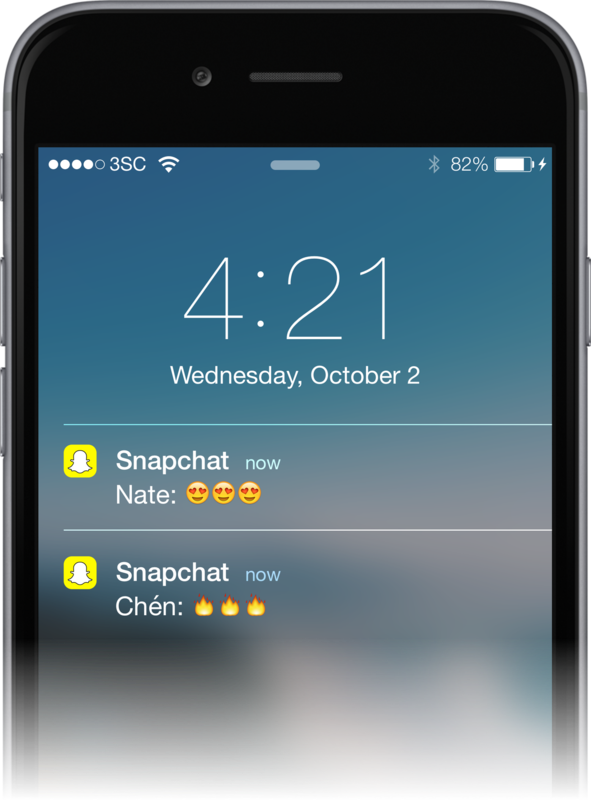 It’d augment the existing “chat” gesture, which lets users send a typed reply by swiping upwards on a snap. Swiping straight upwards would still bring up the keyboard, but veering left or right would select one of two emoji, which would be “sent” when the finger was lifted. There’d be a settings screen so users could pick their favorite emoji, adding a dash of personalization. 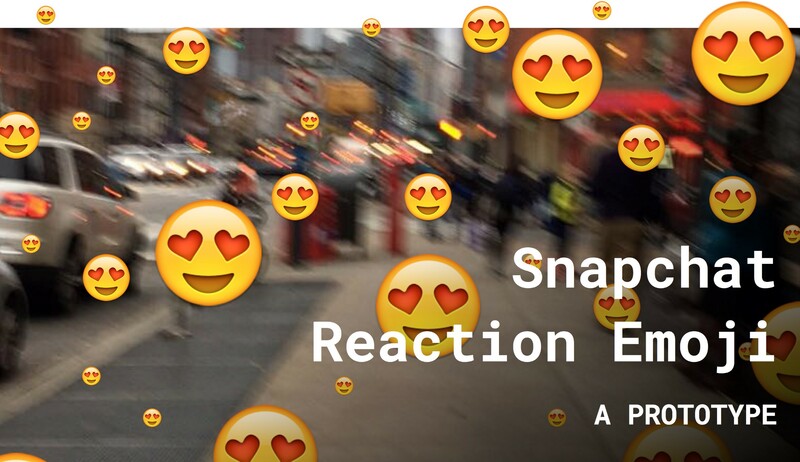 There’s no list of reactions to your stories or snaps, no “like count” to fret over. Just (probably silent) notifications. On a lot of social networks, the number of quick-reactions you receive is what’s important—Facebook, Instagram, Twitter and Slack all tally the number of likes or emoji your posts receive, for all to see. Snapchat’s always been a rejection of numbers-driven social media—no one can see how many friends you have, how many views or screenshots your posts get, or even how many other people you’ve sent that Snap to. That’s important, and it’s why my prototype doesn’t tally up your reactions for friends to see. When someone sends a reaction emoji, you receive a notification. That’s all. Choosing new “Quick Emoji.” The name of the feature isn’t really that important. If you have any ideas or feedback, let me know! Or, download the Framer.js prototype I used to make the GIF and play around with it.